Here you can view the past performance of our Prairie Meadows tips. Click on view details to drill down to past tipsheets including results. For Prairie Meadows, our BEST BETS have finished in the money 75% of the time (on average). Need help playing our Prairie Meadows tips? Here you will find our free Prairie Meadows tips when the track is running live. Please check back on live racing dates. We offer one entire free tipsheet for a random track each day. You can find this on our DOWNLOAD page. 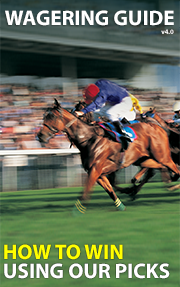 For Prairie Meadows our BEST BETS have been in the money 75% of the time (on average).